Like every year, Barcelona celebrates Christmas with a wide range of leisure activities for the whole family. So you don’t miss out on anything and enjoy the Christmas spirit, we have prepared a guide for you with the best plans to enjoy Christmas in Barcelona. If there is something that adds a special charm to Christmas in Barcelona, it is the Christmas Markets. The oldest and most emblematic is the Christmas Market of the Fira de Santa Llúcia, which is held next to the beautiful Gothic Cathedral of the city and has about 300 stalls where you will find Christmas Trees and plants, zambombas (a kind of rustic drum), handicrafts and the traditional caganers. 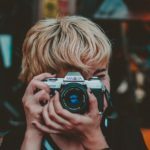 For its part, the Christmas Market of the Sagrada Familia has a hundred stalls where you can find the perfect ornaments, with the iconic temple of Gaudí as an unbeatable backdrop. You can also visit the manger of the Plaza de Sant Jaume in Barcelona, which this year includes traditional Christmas figures but in an innovative and minimalist format: cut out in white, brilliant and situated on wooden sticks almost five meters high, which move with the air. An artistic proposal with a total of 25 figures that with the sunlight reflect their colours on the facades of the square and with their own electric light create the same effect at night. Also, the layout of the work allows you to enjoy it from all angles of the square. The figure of the caganer is one of the main icons of Christmas in Catalonia, a must-have in every Catalan manger. It is the figure of a shepherd dressed in traditional Catalan clothes, with his pants down and “doing his needs”. The Caganer tradition dates back to the 18th century and, far from the eschatological meaning that could be assumed, originally represented the scene of a peasant who fertilized the land to make it fruitful and ensure a good harvest the following year. It was therefore considered a symbol of health, prosperity and Christmas joy. 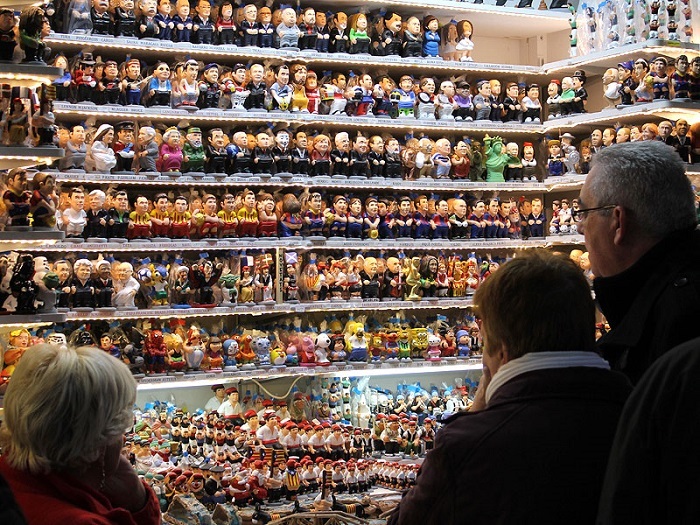 Over the time, the figure of the caganer has acquired a more humorous tone and, in addition to the traditional shepherd, you can find in the Christmas markets caganers representing almost any public character you can imagine: sportsmen, politicians, artists, etc. Did you know that in Catalonia the one who brings Christmas presents to children is the caga Tió or Tió de Nadal? It consists of a wooden trunk supported by two front legs, with a smiley face drawn, dressed with a barretina (typical Catalan hat) and a blanket so that it does not catch cold. The Catalan Christmas tradition says that, as of 8 December, children must feed him every day with leftovers or fruit peels. The more he eats, the fatter he gets and more gifts will produce for the little ones. Originally, the Tió was the trunk that burned in winter in Catalan homes to provide them with light and heat and that, in addition, symbolically offered them gifts like sweets and treats. 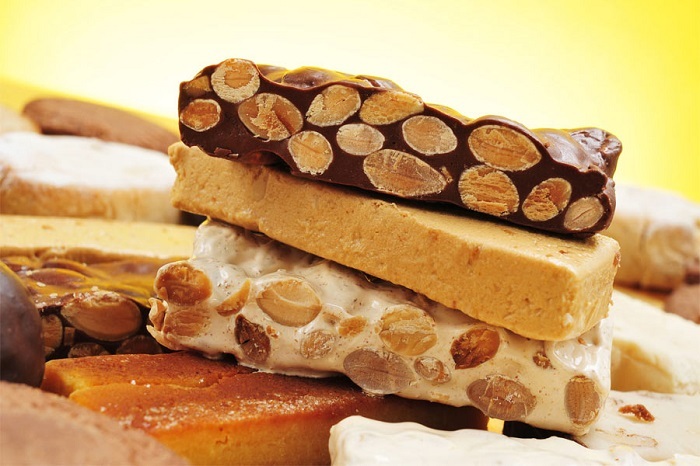 In Catalonia and the rest of Spain you can’t understand Christmas without the nougat, a typical sweet with Arab origins that becomes the king of family celebrations typical of these dates. It is a base of sweet dough made with sugar, almonds and honey, and with all the flavors, colors and textures that you can imagine: chocolate (also with almonds or hazelnuts), cream and walnuts, coconut, nougat, hard nougat or almonds… You can’t miss them! The venue of La Farga in l’ Hospitalet de Llobregat will host, from 21 December to 7 January, an enormous Christmas park dedicated to the little ones. 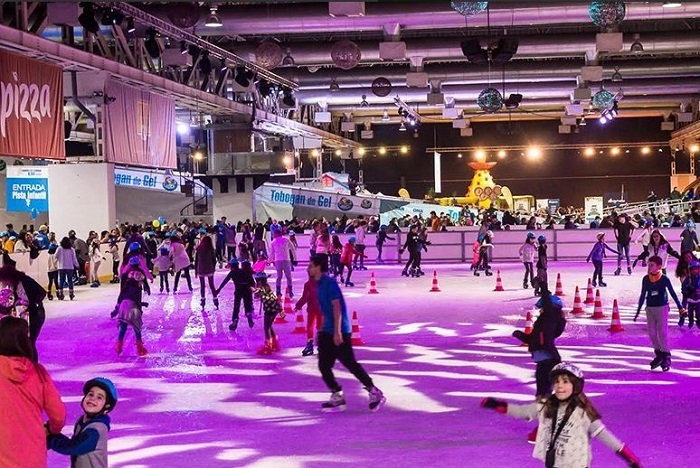 The star attraction will be an ice rink of 1300 square meters, 300 of which are reserved for children. The space will also have a spectacular ice slide 40 meters long and 14 meters wide, circus and percussion workshops, children’s music with live concerts, a basketball court 3×3, table tennis and a children’s playroom, among other activities. 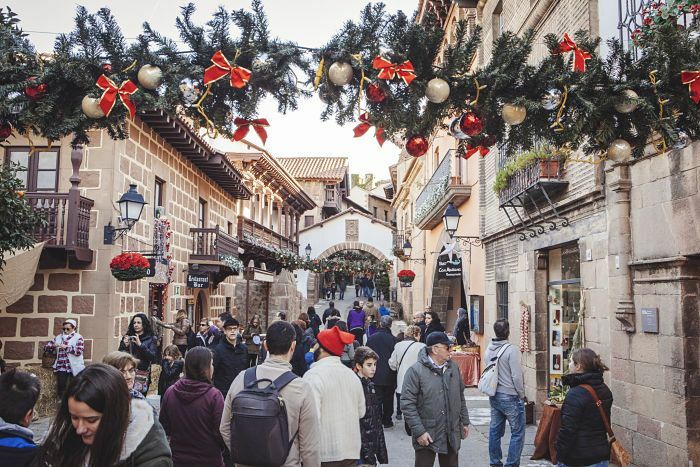 If the Poble Espanyol already deserves to be visited all year round for its impressive life-size reproductions of typical buildings from all regions of Spain, at Christmas the enclosure becomes a Christmas village that hosts a multitude of children’s activities, living manger scenes, a Christmas market and even the visit of Santa Claus and the Magi of the Orient. See here all the programming. 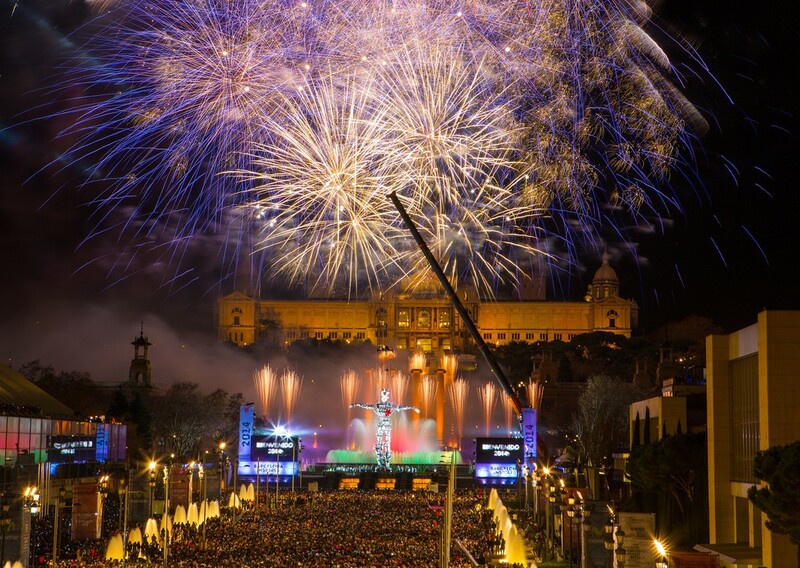 Barcelona will welcome the New Year 2018 with a spectacular pyrotechnic display on Maria Cristina Avenue, next to the Magic Fountain of Montjuïc. The event will begin around 11 p.m. and will include musical performances and a show with fire, light, music and water. As tradition has it, at midnight the 12 bells will ring in each of the first twelve seconds of the year, which must be accompanied by eating a dozen grapes to have good luck in 2018. Don’t worry, if you stay at the hotel during these days we will put the grapes! From there you can continue the party in one of the innumerable party halls of the city such as Razzmatazz, Apolo, Sidecar, etc. 45,000 square metres of pure fun, where children and young people will also enjoy activities that promote values such as civics, solidarity and respect for the environment. 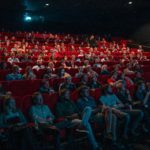 The city’s theatres, auditoriums and concert halls schedule a multitude of Christmas shows during these dates. 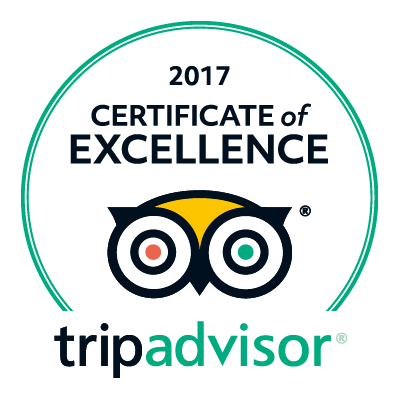 We offer you the most outstanding ones. On December 29th the soundtracks of the great Disney classics will be played in the Auditorium of Barcelona as never before, with singers, a symphony orchestra and screenings of films such as Aladdin, The Lion King, The Jungle Book, Mary Poppins, The Little Mermaid and Frozen. You can buy your tickets here. The Gran Teatre del Liceu will host two shows during these festivals. Albert Guinovart approaches the Christmas spirit with the famous Christmas Carol from Charles Dickens. The ghosts of Christmas past, present and yet to come will soften the hard heart of Scrooge on December 30th at 12:00 pm. In addition, El Liceu will host the Great New Year’s Concert, with a programme inspired by the traditional musical event that takes place every year in Vienna. It includes important works such asas Napoleon, Flower Festival, The waltz of the emperor and, of course, The Beautiful Blue Danube. Two meetings will be held, one on 26 December at 21:30 and the other on 1 January at 20:00. 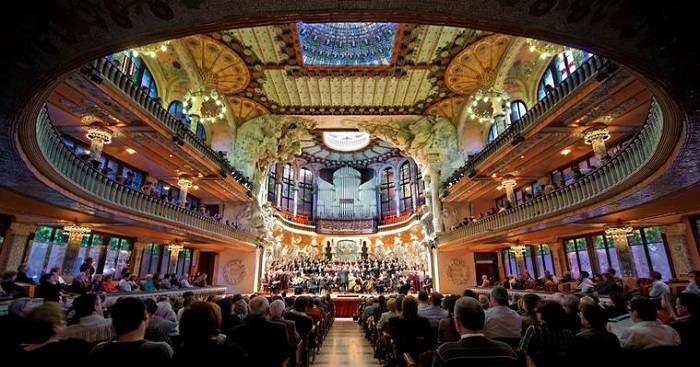 Palau de la Música Catalana will also hold its own Grand New Year’s Concert on 16,22,25 and 31 December and on 1,2,4,7,14 and 21 January. On December 26th, the traditional San Esteban Concert will be held, in which all the choirs of the Palau will take part. And there could be no Christmas without the Nutcracker, the Christmas ballet par excellence, or the Beethoven Symphony No. 5, so the Palau has decided to bring them together as part of the same programme that will take place on 2 January. Although Santa Claus is gaining more and more followers, the Catalan children are still eagerly awaiting the arrival of the Three Wise Men. As the Christian tradition has it, on January 5 Melchior, Gaspar and Baltasar will give gifts to children who have behaved well during the year… Those who don’t will receive sweet coal as a delicious punishment. Barcelona celebrates the arrival of His Majesties with a great cavalcade that travels all over the city and in which about 1,300 people participate. 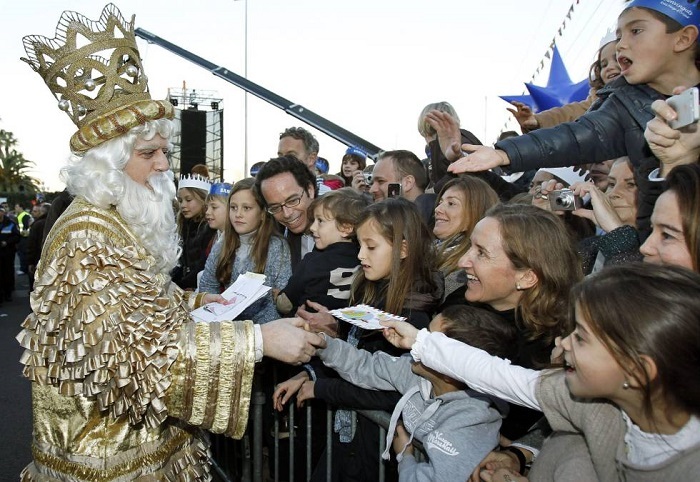 The Three Wise Men arrive in the city by boat and begin the parade accompanied by a large group of pages, carriages and artistic companies, dancers and other groups and organizations that participate. 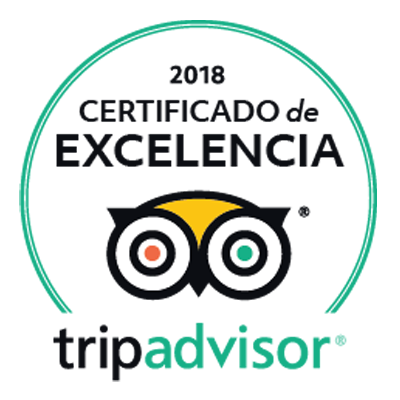 In addition to all the activities and events that we have presented to you, we recommend you to get lost in the streets of the city and enjoy the beautiful lighting and Christmas atmosphere that reign in Barcelona during these dates. If you have any questions or suggestions, do not hesitate to ask our staff. Have a happy holiday!